I was, as they say, sopping with anticipation. Last night’s tea may have been a joyless affair, saved only by the fact that I didn’t have to cough up for it, but today morale was high. Today was why I’d hoiked over the Pennines. Today I’d adopted some of that Manchester swagger with the heady expectation of what was in store. For I was going on a tram. Love a tram ride, me. There’s even a section of this journey that, thrillingly, feels a bit like the start of a roller coaster ride. Four quid shrewdly spent I reckon, and I emphatically recommend the city’s Metrolink system to other public transport enthusiasts who happen to be wasting time reading this. After all that trammy excitement I thought it wise to get some scran inside me and had booked in at Hispi for their daftly affordable lunch offer. Got there dead early though (speedy those trams!) so had a couple of liveners next door where the resident Pub Sage orated on the theme of ‘moderation’ over 3 or 4 gassy pints. Given this was before noon, he was my kind of moderate. 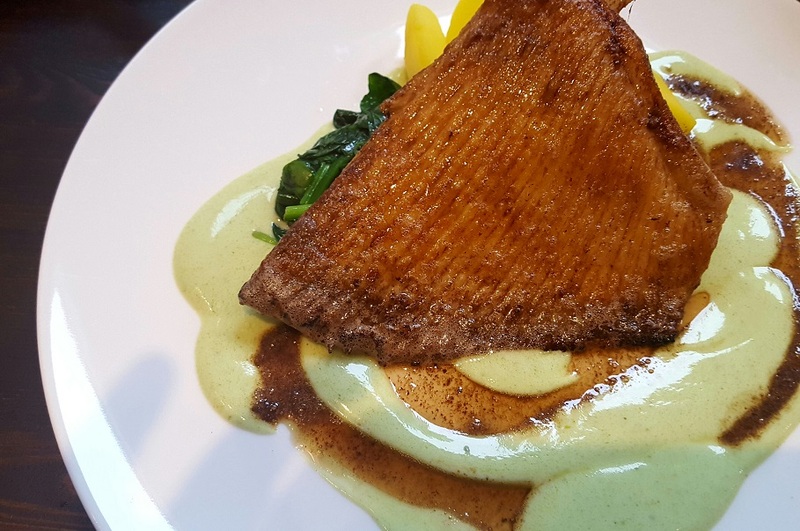 Just after this Manchester trip I read that someone had likened Hispi and its fuss-free, to-the-point plates to the mecca of St John (all hail) which is exactly what I’d similarly mused at the time – honest. The main difference being, I’d also pondered, about twenty-five quid. 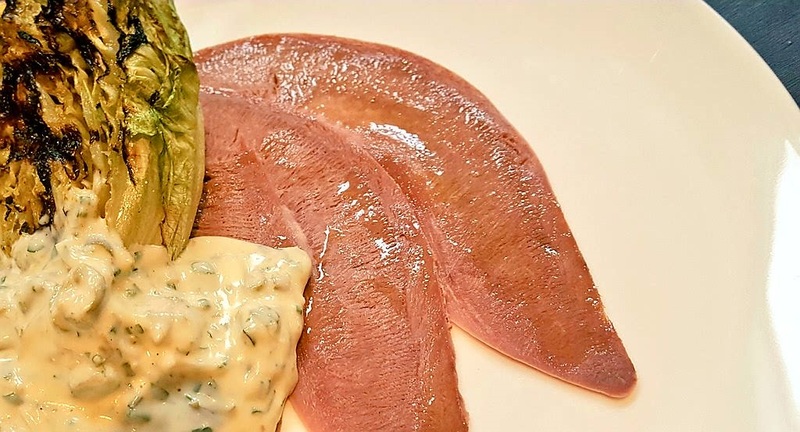 This plate of ox tongue, for example with a grebiche sauce (sauce grebiche, if we must) and a lump of charred lettuce might appear to be a simple ensemble but we’ve all tutted through enough Masterchef to know that with this kind of fodder “there’s nowhere to hide”. No worries on that front here given the bold stuff I spent a leisurely lunchtime getting on the outside of. Thin slices of gamey tongue – corned beef reimagined as something that tastes nice – and, oof, that grebiche! Like a spiky surge of summer through mizzly Didsbury – Mizzbury, if you will – with its punch and zip. I’m probably not the only one who won’t get too leg-shaky with excitement when I see ‘gem lettuce’ on a menu but here, with its char and crunch, the happy trinity was complete. I Tom and Jerry’d this ray wing to its skeletal self, and despite it being dispatched with good saffron spuds I ordered some chips to make up for last night’s half-arsed efforts. Faith in fried potatoes was duly restored, particularly when wrapped in some top notch bread. Mace butter kept things nicely lubed up without dominating proceedings which, I think, they call ‘balance’. Didn’t fancy dessert but despite the potent allure of that return-leg tram ride I didn’t want to leave yet, either. 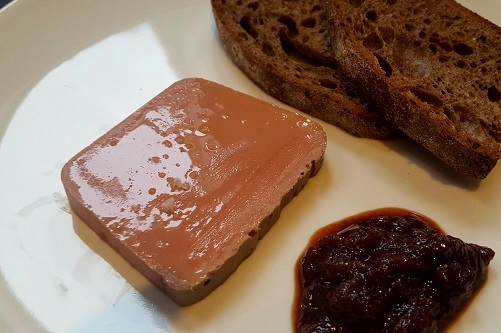 Not sure pate’s an orthodox denouement to a meal, but that last drop of wine (summat Greek and good) needed company. I doubt there’s a buffer wodge of pate to be had across the entire Metrolink network and the arteries soaked it up with merry abandon. Three generous courses of hearty food cooked with finesse by folk who want to feed you well, and with the good stuff, for £19. Geddit in yer. Fell asleep on the tram.